STEVE WEINBERG graduated from the Missouri School of Journalism in 1970, returning later for a master’s degree. He started in newspaper newsrooms, moved to magazines so he could write longer features, and then shifted to book writing with its immense word counts. Today, Weinberg supplements his book writing with freelance magazine features, newspaper op-ed pieces and book reviews. His books include a guide to journalism in Washington, D.C. (“Trade Secrets of Washington Journalists,” Acropolis, 1981); a biography of Armand Hammer (Little, Brown, 1989); a guide to reading and writing biography (“Telling the Untold Story,” University of Missouri Press, 1992); “The Reporter’s Handbook: An Investigator’s Guide to Documents and Techniques,” published by St. Martin’s Press and commissioned by Investigative Reporters and Editors, 1996; A Journalism of Humanity, the centennial history of the Missouri School of Journalism (University of Missouri Press, 2008); and a dual biography of Ida Tarbell and John D. Rockefeller (W.W. Norton, 2008). When in the classroom, Weinberg alternately taught in-depth reporting/writing courses, courses related to covering the criminal justice system as part of an innocence project at the University of Missouri, and a reviewing/criticism course. 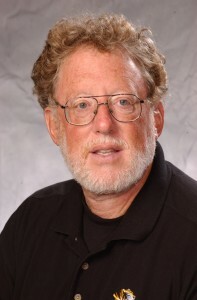 Weinberg joined the Missouri School of Journalism faculty in 1978 as director of its Washington, D.C., reporting program. In 1983, he moved to Columbia, Mo., to serve as executive director of Investigative Reporters and Editors, Inc., a professional organization with thousands of members that is headquartered at the School. Weinberg stepped aside as IRE executive director in 1990 to spend more time with his family, but continues to contribute to IRE’s magazine as a writer and copyeditor. Weinberg is the father of two children, one of whom graduated from the Missouri School of Journalism in 2002. Len Bruzzese, Steve Weinberg, Brant Houston. The Investigative Reporter's Handbook: A Guide to Documents, Databases and Techniques, New York: Bedford-St. Martin's Press, 2002. Steve Weinberg. The Reporter's Handbook: An Investigator's Guide to Documents and Techniques, 3rd Edition, New York: St. Martin's Press, 1996. Steve Weinberg. A Journalism of Humanity: A Candid History of the World's First Journalism School, Columbia, Mo. : University of Missouri Press, 2008. Steve Weinberg. Taking on the Trust: The Epic Battle of Ida Tarbell and John D. Rockefeller, W.W. Norton, 2008.